For this renovation project in Porto, design studio A2OFFICE increased the synergy between spaces by introducing new openings and systems for optimum lighting. The resulting open space encourages interaction - completely transforming the interior ambience. The building, comprising a basement, two floors, attic and small patio, is located in the central part of Porto. A single staircase connects all levels. In order to facilitate a spatial flow and openness, the architects introduced an interconnected social area on the lower levels. Two bedroom suites were placed on the top floor. In order to preserve the memory of a lantern on the first floor, the team formed three new clerestory windows. 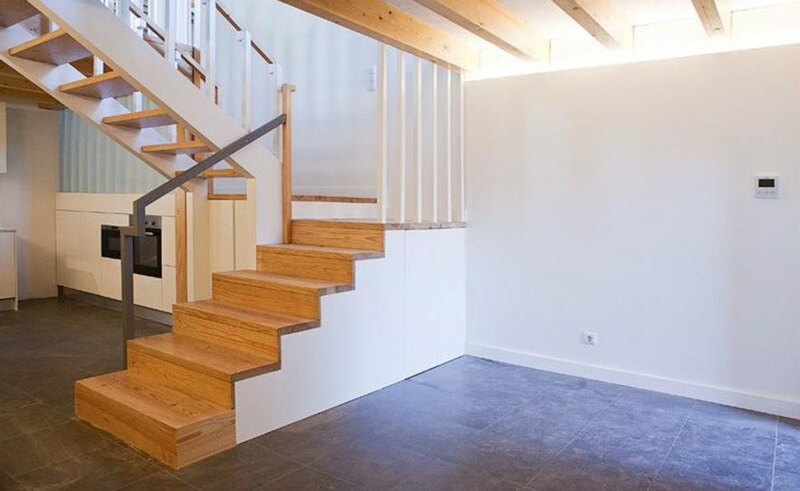 These openings provide additional natural light for the entire space, including the attic area. A minimalist lighting system was integrated into the walls, cabinets and ceilings. 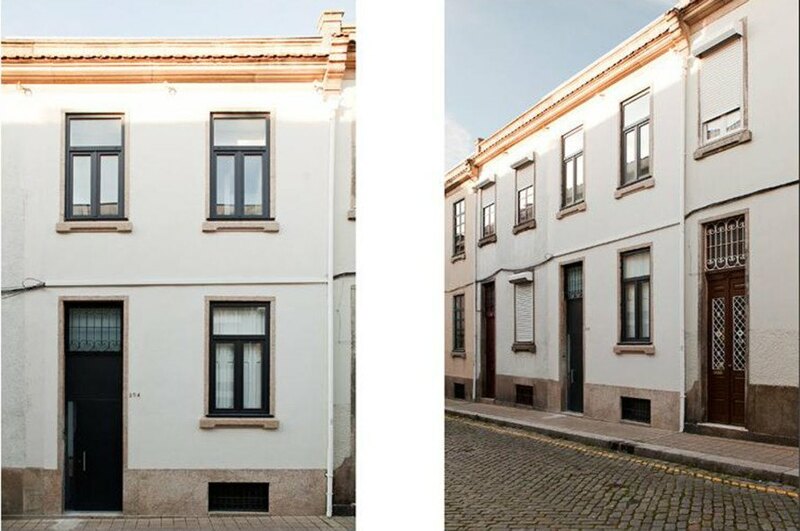 The building, comprising a basement, two floors, attic and small patio, is located in the central part of Porto. A single staircase connects all levels. In order to facilitate a spatial flow and openness, the architects introduced an interconnected social area on the lower levels. Two bedroom suites were placed on the top floor. In order to preserve the memory of a lantern on the first floor, the team formed three new windows. These openings provide additional natural light for the entire space, including the attic area. A minimalist lighting system was integrated into the walls, cabinets and ceilings.